In New Zealand, Eucalyptus nitens is grown mainly for pulp wood on short rotations (15-20 years). It grows very fast on the right sites, has outstanding form and is cold-tolerant. The main production area for E. nitens is Southland. To date, genetic improvement has focused on traits for pulp wood production. The third generation of improved progeny are available. Eucalyptus nitens is difficult to process into solid wood products because of its high levels of internal checking and shrinkage. A new initiative under the Specialty Wood Products research partnership (SWP) is therefore focusing breeding effort on traits which will enable higher value solid wood production. Research has confirmed that important wood properties including levels of shrinkage, internal checking, stiffness, and growth strain, are all heritable, so will respond to tree improvement programmes. Two new seed orchards have been established in Southland in collaboration with an industry partner. One of these will focus on producing germplasm with lower levels of growth strain, internal checking and shrinkage; the other will provide germplasm for high-quality pulp. 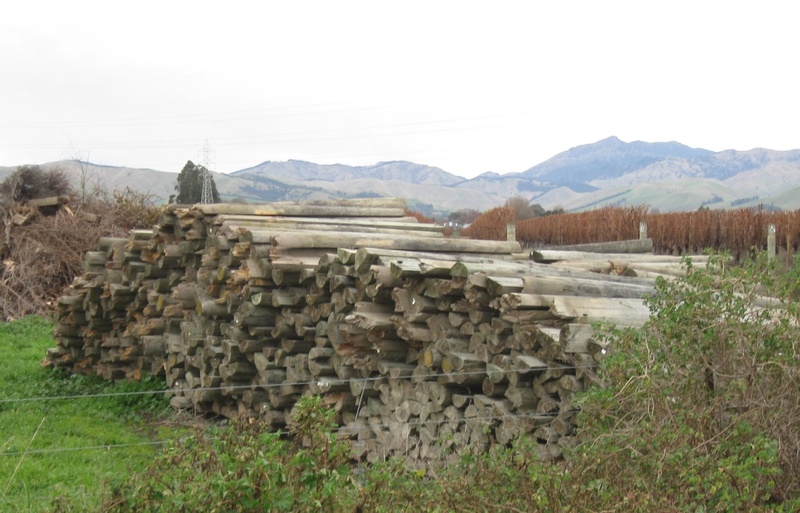 A third seed orchard has also been established in North Canterbury, with a focus on volume and wood density. There is considerable scope for the genetic improvement of E. nitens to add significant value both for growers and manufacturers of solid wood products and pulp. Laminated veneer lumber (LVL) is an important potential market for E. nitens veneer. A strong business case has been made for genetic improvement, including the use of genomics to enable more specific traits to be isolated and incorporated into new material. It is anticipated that improved fourth generation planting stock for both enhanced solid wood production and higher quality pulp will become available for commercial planting within the next five years. Marlborough is New Zealand’s major wine-producing region, with some 66% (24,000 ha) of the total national vineyard area (36,000 ha). potential toxic leachates from posts could have serious consequences for both soil health and the industry’s market image. 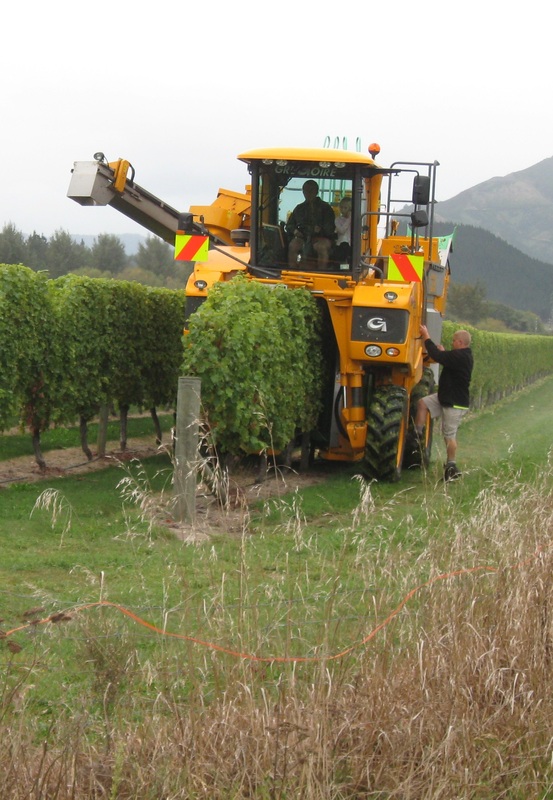 Mechanical harvester operating in a Marlborough Vineyard. Broken CCA-treated posts stockpiled and awaiting disposal. Between 2006 and 2009, Marlborough-based Vineyard Timbers Ltd sourced timber from several promising naturally durable species, including Eucalyptus bosistoana (coast grey box), and E. globoidea (white stringybark). Existing mature trees were felled and milled to produce vineyard posts. Around 750 E. bosistoana posts, 300 E. globoidea posts, plus 355 posts of other eucalyptus species, (a total of around 1400 posts), were purchased by six vineyards in the lower Wairau Valley. The vineyard owners were keen to try an alternative to CCA-treated posts. Based on their durability ratings (Australian Standard), the E. bosistoana posts are expected to last at least 20-25 years in situ, and the E. globoidea 15-20 years. 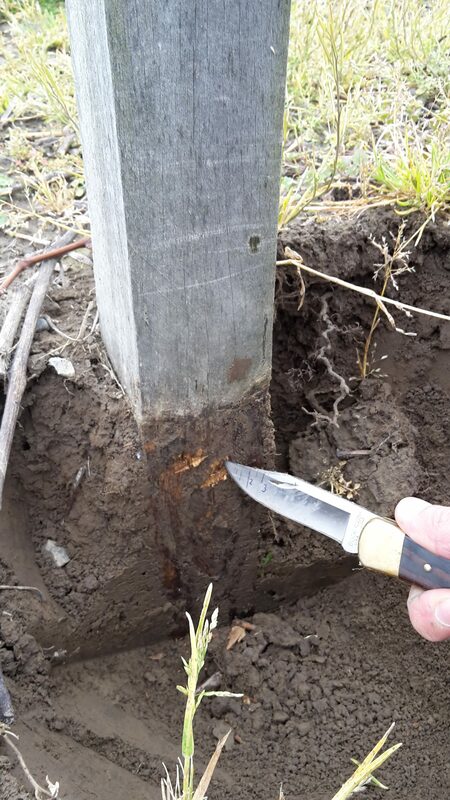 to test the posts for in-ground decay, and identify reasons for breakages or other poor performance in situ. During visits to the vineyards, 1065 posts were found to still be in service. Another 14 were found broken, 1 failed from decay and 45 in storage. Feedback about the posts was generally positive, thanks to their natural durability and hence acceptability for organic/sustainable production standards. Breakages reported were minimal – only 14 in total. Negative comments were about how hard the eucalypt timber is, making nailing or fastening wire hangers difficult. Pre-drilling was deemed necessary. One owner also found some posts had twisted in storage due to cross grain. by comparison, globoidea posts were showing higher decay rates but many are still in service and should remain so for a number of years. Analysis at a case-study vineyard found only 8 E bosistoana posts broken out of the 265 installed 11 years ago. This equates to 3% of the total, giving an annual breakage rate of 0.3%, compared to up to 5% annual breakage in conventional CCA-treated pine posts. All but two of 50 posts assessed on the vineyard for in-ground decay showed less than 5mm of decay, even after 11 years in service. The feedback from vineyard owners/managers and the results of our decay assessments demonstrate that durable eucalypt vineyard posts of both E. bosistoana and E. globoidea provide at least 10 years’ useful service with low levels of breakage. bosistoana post showing virtually no decay after 11 years in service. The Forecaster Calculator is an upgraded online version of the Radiata pine and Douglas-fir calculators, which were originally designed for small forest owners. The upgrade is a combined Scion and NZFOA initiative. The new calculators are web-based, and will be free and easily accessible to users, who will simply be required to register on-line. The ‘engine’ of the calculators is Scion’s powerful Forecaster forest management software. The calculators have been designed to be easy and quick to use, and will be an excellent decision-support tool for small forest owners. freely available; accessible any time on any device. The calculators will be available via the Forest Growers Research website. They are ready for deployment, and growers will be informed as soon as they go live. This project is exploring ways of using emerging technology in a cost-effective way for small forest inventory. Accurate inventory is expensive for small forest owners because of the disproportionately large sample size needed in small forests (i.e. number of plots or trees measured per hectare) to ensure samples accurately represent the whole woodlot area. Remote sensing approaches that are currently being developed for forest inventory offer very real benefits to large forest owners, but are not well suited to small forests. Also, few small forest owners have the technology or skills to interpret remotely captured data, so consultants have to be employed, adding further to costs. make the benefits of remotely sensed data and new statistical methods available. The potential to use UAVs for inventory is being investigated: the rapid development of UAVs, including associated miniaturised scanners, is exciting. Sampling of a case-study 40-hectare woodlot in the central North Island using a UAV is complete, and methods for generating three-dimensional information on the forest canopy using the imagery captured have been developed. Further analysis, leading to recommendations on sampling design, statistical techniques, and practical data collection methods, is underway. Another option being considered by researchers is the potential to amalgamate and share data from a community of woodlot owners. For this approach to be successful, researchers need to engage with a community of small forest owners who would be willing to contribute to a database of field plot data, ideally using data that they have, or would be, going to collect anyway. This information can then be combined with other freely available remotely sensed data collected by regional or national authorities to generate forest assessments for individual woodlots.